The mask* smells like lemon and is really refreshing to use, normally I find with a clay mask they don't smell too good but this one actually smells quite nice! The mask goes on really well, the only downside I have is that the sachet it comes in, you have to wriggle the product out the packet before you can use it, I suppose this is also good as it means each face masks are preserved and your not wasting any product as the sachets give you the perfect amount. I kept my mask on for around 10 minutes and by then it was completely dry. The mask is suitable for any skin type however it is probably especially beneficial to those with spot prone skin, I do tend to get a few spots and go through periods of having acne prone skin, using a mask once a week would really helps to reduce these and get rid of any impurities! My skin felt really soft once I had taken it off, and I did notice a difference in how clear my skin was, It wasn't a massive difference but if you used it regular then you would get better results. 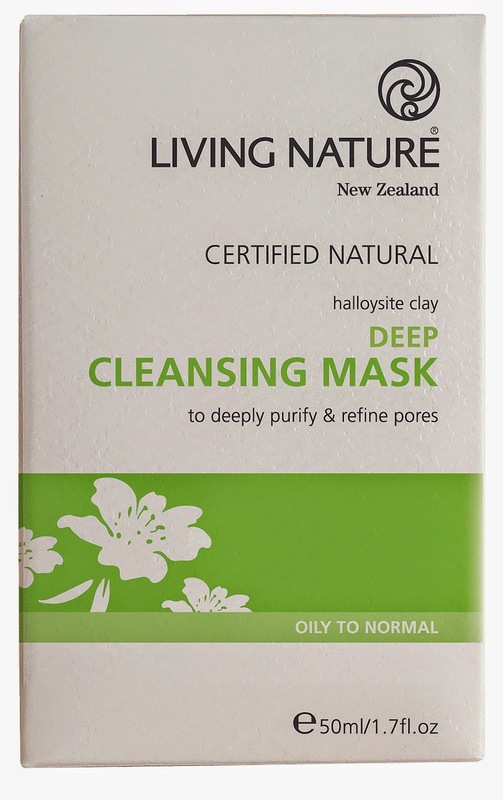 Have you tried Living nature masks before? Let me know in the comments! I don't use masks a lot because they've tended to dry out my already dry skin. Maybe I'm just not using the right ones? I'll have to checkout this brand! You can get face masks for dry skin, Origins do a really good one called drink up with is great for dry skin! I'm not sure a clay mask would be the best for dry skin unless it has elements in that help with dry skin! I've been looking for a mask to add to my Sunday beauty ritual, thanks for the info. Oh I would love to know if you try it out! This looks great! I love doing masks! Same! I find them a great way to relax! It looks like a great mask - is it heavy? Ooohhhh I do love lemon scented skincare. A great tip for clay masks is to steam your face first to loosen any debris in your pores, it makes it easier for the clay to ‘pull them out’. I love scented skincare aswell, but I don't like anything too overpowering. I always steam my face before using masks, I find like you said it to be a great way to pull all the nasties away! I like using a hot flannel! It actually smells really nice, I'm not a fan of the normal clay smell! I love using clay masks but I agree with you on the smell. How good that this one actually smells nice! I know, I'm really not a fan of clay masks because of the smell, I love the way they make my skin feel but the smell just puts me off! Its nice to find one that smells nice!